Just lately I've had a lot of job interviews, to find out I will be moving to London and starting work in 2 weeks! I'm super excited and happy about it, but also getting quite anxious trying to find nice accommodation and come to terms with the fact I'll be moving away from my family again. I've also been making a lot of the painted personalised wooden letters I talked about here and have just felt so completely run off my feet, exhausted and I haven't really been able to unwind, switch off and sleep very well. Several people recommended the Adult De-stress colouring books that have been on sale everywhere, but I didn't feel that it would relax me at all and always thought they were kind of overpriced for what they were. Then one day when I was babysitting my niece and nephews, they were making things out of Hama beads and my niece asked me to make her an Elsa following a pattern she had found online. Within minutes I felt really relaxed and I was actually really enjoying it. If you've been stressed lately I would definitely recommend this as a little past time. You can buy large mixed tubs but I personally hate the thought of having to sift through all the colours, so instead I just buy bags of the individual beads as and when I need them. The boards are relatively cheap and come in all different shapes and sizes too. 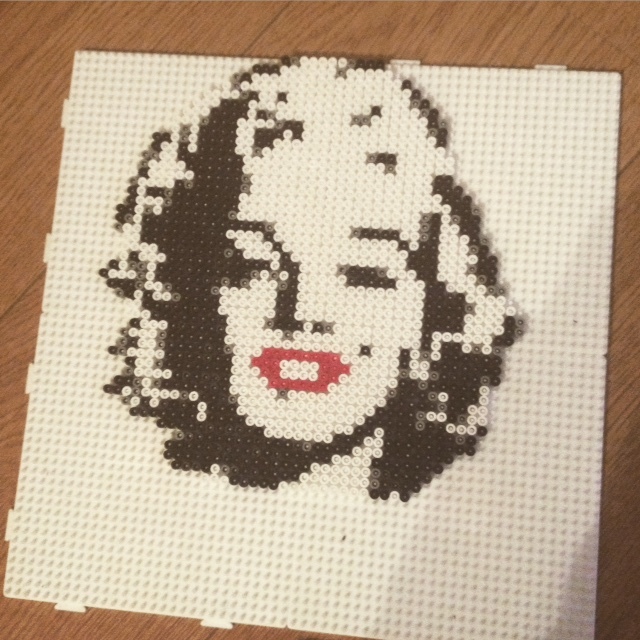 What I do is usually google 'hama beads ideas' or 'hama beads disney' or really random things like 'hama beads Marilyn Monroe' and you come across no end of really interesting ideas, from making your own jewellery to all sorts of pictures. It's so much fun - but don't forget to buy the Hama beads paper like I've done! You need it to cover the beads before you iron it to secure them all together. Trust me to forget it.